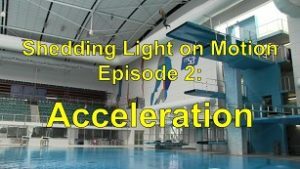 In Episode 2, Acceleration, we introduce students to the concept that acceleration is a measure of how quickly something changes its speed. We join James Bond as he falls out of an aeroplane without a parachute, splash into the water at 50.4 km/hr with presenter Spiro Liacos, and watch on helplessly as a truck runs off an unfinished bridge and explodes in a massive fireball. Analyzing Motion Using Ticker Timers practical activity. 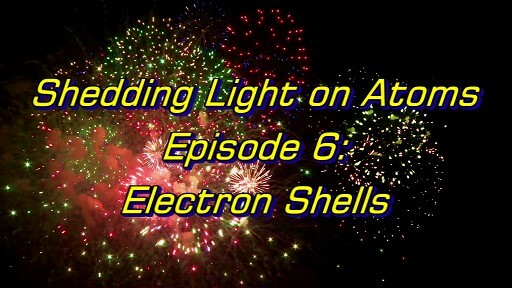 Shedding Light on Atoms Episode 2: Acceleration is available for only $49.99 (AUD). 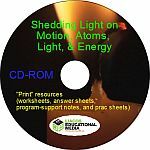 However, you can purchase all 8 titles of the Shedding Light on Motion series for only $239.92. It’s a 40% discount! Part A: Introduction. Acceleration is a measure of how quickly things speed up or slow down. Part B: Faster and Faster. Using a car and a sprinter as examples we quantify acceleration. Part C: The Acceleration Due to Gravity. Things that are falling get faster and faster; they accelerate. And when air resistance is small, they all accelerate at the same rate—it doesn’t matter how heavy they are! 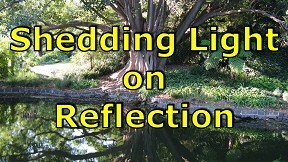 The images shown below are screen grabs from the program and the text is more or less a transcript of the program. You can use it as a text book to help you answer the questions on the Question Sheet! We know that things can speed up. 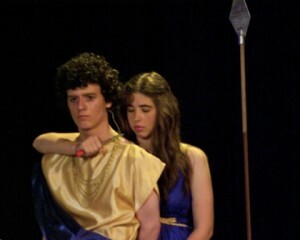 And we know that things can slow down. Acceleration is a measure of how quickly things speed up or slow down. 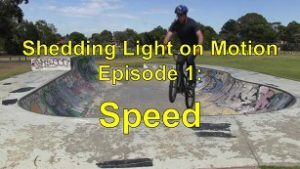 We saw in our last episode that when you run a race, your speed starts at zero and then it increases until you reach your maximum speed. 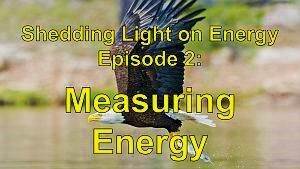 We can actually quantify how quickly an object’s velocity changes with some fairly simple mathematics. So let’s begin. 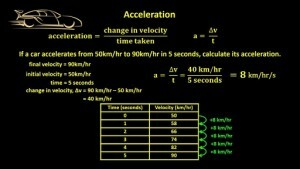 Acceleration = the change in velocity / the time taken. a = Δv/t. The triangle is actually the Greek letter delta. It’s the symbol used in mathematics to indicate the change in a quantity. So let’s do an example. If a car accelerates from 50km/hr to 90km/hr in 5 seconds, calculate its acceleration. Well the final velocity = 90 km/hr, the initial velocity was 50 km/hr and the time it took was 5 seconds. The change in velocity, delta v = 90 km/hr – 50 km/hr which equals 40 km/hr. So, the acceleration of the car which is the change in velocity per second, is 40 km/hr / 5 seconds which equals 8. Eight what though? What is the unit for acceleration? Well in this case it has changed on average its speed by 8 km/hr every second so its acceleration is 8 km/hr/s. It may seem a bit of a strange unit, but mathematically it makes perfect sense. 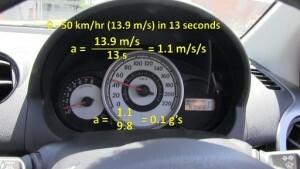 The car changed its velocity by 8 km/hr per second. 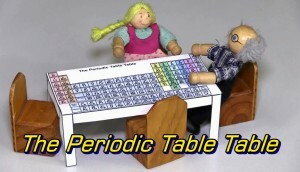 We can draw up a little table. At the start the car was travelling at 50 km/hr. After accelerating for one second it was travelling at 58 km/hr. After 2 seconds it was travelling at 66 km/hr. At the three-second mark it reached 74 km/hr. One second later it was doing 82 and at the 5-second mark it reached 90 km/hr. So, I’ll say it one more time, the car was accelerating at a rate of 8 km/hr/s. 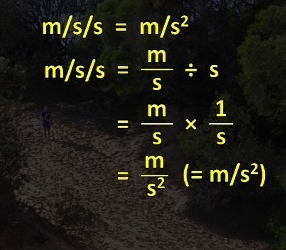 The same formula for acceleration applies if we use m/s as our unit for speed. Let’s do another example. A sprinter accelerates from 0 to 10 m/s in 4 seconds. Calculate the acceleration. a = Δv/t so let’s look at the information that we have. The initial velocity = 0m/s, the final velocity = 10m/s, which means that the change in velocity is 10 m/s, and the time it took to reach 10m/s was 4 seconds. 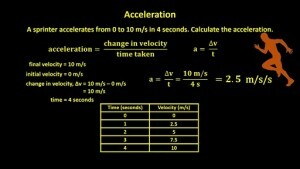 Acceleration therefore = 10 m/s / 4 seconds which equals 2.5. 2.5 what though? Well the mathematics implies that the sprinter changed velocity by 2.5 m/s every second, so his acceleration is 2.5 m/s per second (2.5 m/s/s). This once again may seem a strange unit, but this part of the unit (m/s) refers to the speed change while this part (/s) refers to the time it took to change the speed. A simple table can help us visualize it. At the beginning the sprinters speed was 0 m/s. After 1 second, his speed reached 2.5 m/s. A second later, at the 2-second mark of the race his speed was 5 m/s. 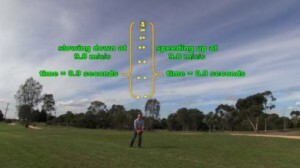 At the 3-second mark he had reached 7.5 m/s and then at the four second mark he reached 10 m/s. He was accelerating at a rate of 2.5 m/s/s. 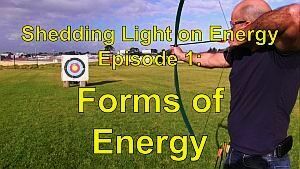 Most things don’t usually accelerate at a constant rate like we’ve assumed here, but in the early stages of studying motion we’re usually going to assume that they do. If an object gets slower, it is said to have decelerated. Mathematically the acceleration will be negative. A deceleration of 10 km/hr/s is written mathematically as a = -10 km/hr/s. The unit m/s/s is often written as m/s2. It’s a little mathematical trick. m/s/s is the same as m/s ÷ s which is the same as m/s x 1/s which equals m/s2. I’m not going to use the expression m/s2, I’m going to use the expression m/s/s because it’s kind of a little more logical. Acceleration is the change in m/s…per second. It’s often hard to picture because it occurs so quickly, but an object in free fall will accelerate downwards. Its speed increases as it falls. It’s a lot more obvious when larger distances are involved. As we did in our last episode, we can play the video frame by frame and see that the distance the ball moves every frame increases. 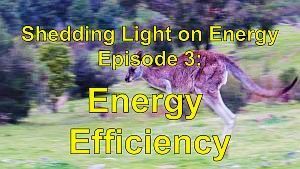 It initially moves slowly, but gets faster and faster. 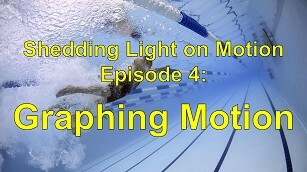 Using video is a powerful way of analysing an object’s motion. 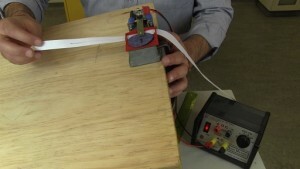 Another way of analysing an object’s motion is to use a ticker timer. 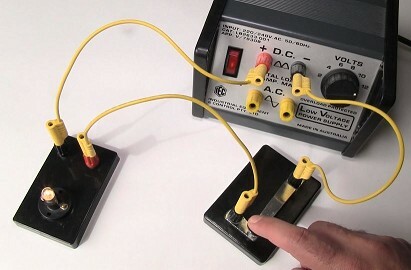 This ticker timer presses down on a piece of ticker tape 50 times per second when it’s connected to an AC power pack. This leaves small dots on the ticker tape. If we attach some ticker tape to a trolley and then let the trolley run downhill, we can analyse the motion of the trolley. It’s fairly clear when we examine the ticker tape, that, since the dots are getting further and further apart, the trolley was accelerating as it rolled down the ramp. Now if I drop this weight which has a ticker tape attached to it, and then examine the pattern of dots that is created, we can see that the dots once again get further and further apart indicating that the weight got faster and faster as it fell. If we place the two ticker tapes next to each other, we can see that the dots on the falling weight’s ticker tape get further apart more quickly than the dots on the trolley’s ticker tape. The falling weight accelerated a greater rate than the trolley did. This acceleration of 9.8 m/s/s is not affected by the mass of an object. 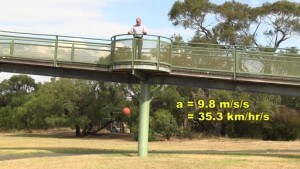 A heavier object like this 5-kilogram medicine ball will accelerate at the same rate as this 600-gram basketball. Even in slow motion there’s no real difference. A basketball in fact has the same acceleration in free fall as I do, an 84 kg man. 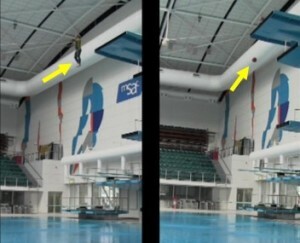 We had to film the events separately because I wasn’t allowed to jump from the 10 metre tower with a ball in my hand, but, from the time my feet left the platform, the basketball and I were level. 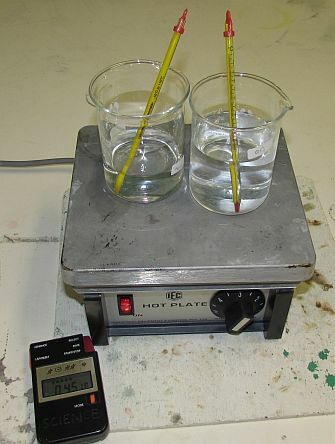 However, the acceleration is affected by air resistance. Something like a feather clearly doesn’t accelerate at 9.8 m/s/s. 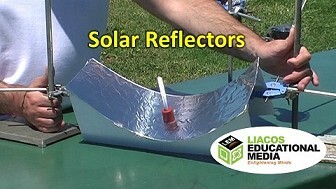 This is because the force of air resistance is similar in size to the force of gravity on the feather. 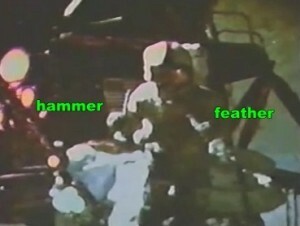 If we could drop a feather in a vacuum, not a vacuum cleaner, but a vacuum which is a region that has no air in it, like on the surface of the moon, then it would accelerate at the same rate as, for example a hammer. Dave Scott: Well in my left hand I have a feather, and in my right hand a hammer, and I’ll drop the two of ‘em here, and hopefully, they’ll hit the ground at the same time. How about that! The moon’s gravity is only about 1/6 of Earth’s gravity, so falling objects on the moon have an acceleration of only about 1/6 of falling objects on Earth, or about 1.6 m/s/s. 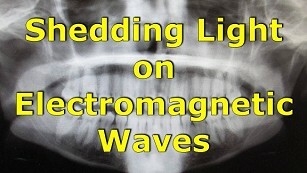 Now you can do more or less the same experiment here on Earth really easily. 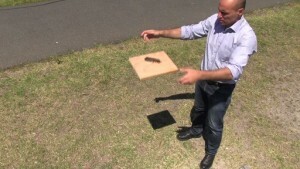 This feather kind of floats down slowly, but if we put something in front of this feather to push the air out of the way as it falls, it accelerates at the same rate as everything else: 9.8 m/s/s. I didn’t glue it, I didn’t sticky tape it; it just fell under the influence of gravity, but without a significant amount of air resistance, so it accelerated at the same rate as the block of wood: 9.8 m/s/s. Now why does everything accelerate at 9.8 m/s/s (assuming that air resistance is low)? Well, to answer that question we need to look into forces, which we’ll do in a later program. 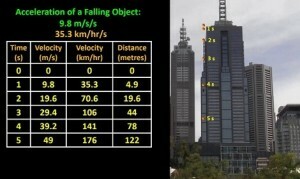 So, assuming that air resistance is small, if an object falls from, say, a tall building, after 1 second it’s travelling at 9.8 m/s. After 2 seconds it’s travelling at 19.6 m/s. After 3 seconds, at 29.4 m/s and so on. Its speed increases by 9.8 m/s per second. Since 9.8 m/s = 35.3 km/hr, its speed increases by 35.3 km/hr per second. After 1 second it’s travelling at 35.3 km/hr, after 2 seconds, 70.6 km/hr and it will continue to increase by 35.3 km/hr every second. In terms of distance, it will cover more and more distance every second since it’s getting faster and faster. Since a = Δv/t, it follows that Δv = a x t.
If I step off a 1 m high springboard, I hit the water in only 0.45 s. My change in velocity, delta v = a x t, which is 9.8 m/s/s x 0.45 s which equals 4.4 m/s or about 16 km/hr (15.84 km/hr). 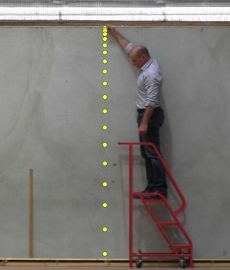 Off the three metre board, it takes 0.78 s to hit the water. My speed on impact was 7.6 m/s (27 km/hr) (27.36 km/hr). 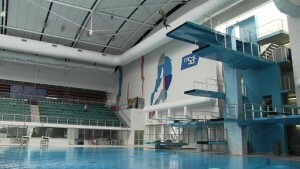 After I jump off the 5 m platform, I hit the water in 1.02 s at a speed of 10 m/s (36 km/hr). 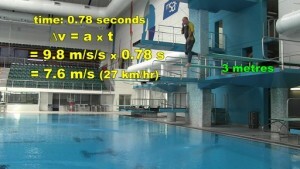 Off the 7.5 m platform, I hit the water in 1.24 seconds at a speed of 12.1 m/s (43.56 km/hr). 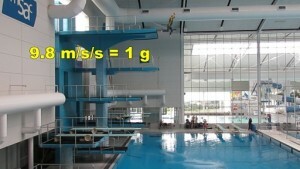 And off the 10-m platform, I hit the water in 1.43 seconds at a speed of 14 m/s which is a little over 50 km/hr. Now at high speeds air resistance becomes a significant factor for all objects. Sky divers do initially accelerate at 9.8m/s/s, but as they get faster, the air resistance increases and their speed levels off. 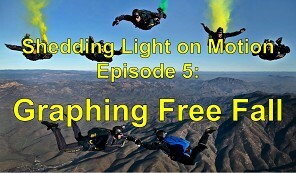 They reach what is called “terminal velocity”. Terminal velocity is about 200 km/hr but it varies depending on how you orientate your body. So, because of air resistance, an acceleration of 9.8m/s/s really only applies at relatively low speeds. The 1979 James Bond movie “Moonraker” features an excellent scene where Bond throws a bad guy out of an aeroplane but then he himself gets pushed out shortly after. The bad guy is wearing a parachute, but Bond isn’t, so he angles his body downwards to reduce air resistance and he catches up to the bad guy who, with his arms and legs spread out, has a lot of air resistance. Now a lot of movies bend the Laws of Physics, but this is certainly possible and this scene was actually shot with real stuntmen without the use of computers. Quite often, movie makers use models to recreate large-scale sets which would be too expensive to build for real, and, depending on the detail, they can be very convincing. 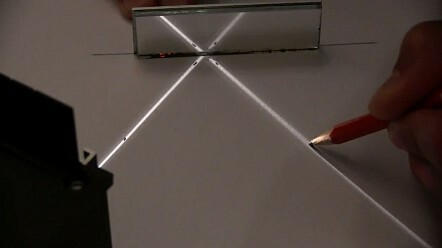 However, gravity can’t be miniaturized, so when a model is affected by gravity, slow motion is used. An object that falls for example 5 metres in real life has to take about 1 second to hit the bottom. A scale model has to take the equivalent amount of time in the scale that it’s built in. 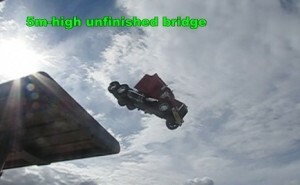 If a model truck drives off a model five-metre high unfinished bridge, it needs to take about 1 second to hit the ground. The model actually took only a fraction of a second to hit the concrete below. 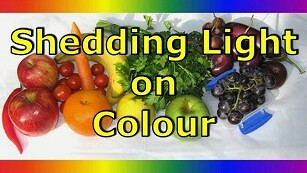 Now this special effect is hardly brilliant, but I hope you can see what I mean. The 2005 movie Batman Begins features a great scene where Batman is fighting the villain on a train which is hurtling towards a bridge that’s been taken out. Both CGI and models were used to create the scene. The collapse of the bridge and the subsequent train wreck were filmed with 1/6 scale models. The high speed footage is played back at 1/4 speed, in other words slow motion, so the model doesn’t appear to fall too quickly. As photorealistic CGI becomes better and better, models are getting used less and less frequently, but there is still often a place for them. Regardless of how special effects are created though, they are always better if they take gravity into account. Getting back to the real world, if I throw a ball upwards, it slows down as it moves upwards, and then stops for an instant before speeding up again as it falls back down. The dots show the position of the ball every 3 frames. On the way up it slows down at a rate of 9.8 m/s/s and on the way down it speeds up at a rate of 9.8 m/s/s. The time that it takes to reach its maximum height is the same as the time that it takes to fall from its maximum height to the level that it was first thrown. The downwards part of the flight is basically the reverse of the upwards part of the flight. And once again this assumes that there isn’t much air resistance. 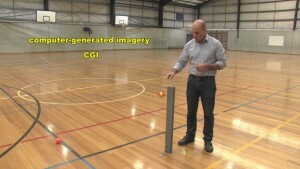 Computer games usually have to include gravity in their virtual environments so that when you, for example, throw a grenade in COD or kick a ball in FIFA, the grenade and the ball follow a realistic path. The mathematics of the way gravity affects objects is written into the programs. It doesn’t just happen automatically. As we’ve seen, objects in free fall accelerate at a rate of 9.8 m/s/s, ignoring the effects of air resistance. An acceleration of 9.8 m/s/s is sometimes referred to as 1g. (g for gravity). 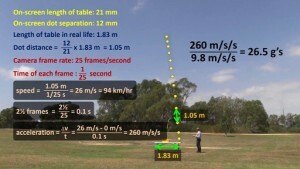 2 g’s refers to an acceleration of 2 x 9.8 or 19.6 m/s/s. This car can comfortably accelerate from rest to 50 km/hr, which is 13.9 m/s, in about 13 seconds. Its acceleration is about 1.1 m/s/s. Since 1.1 / 9.8 = 0.1, we can say that the car had an acceleration of 0.1 “g”s. It accelerated at a rate of only 0.1 of what it would have accelerated if it had been in free fall. The way to work out the number of g’s is basically to divide the acceleration in m/s/s by 9.8. The fastest drag racing cars can reach speeds of around 500 km/hr in only about 5 seconds. Their average acceleration can be about 3 g’s over the 400 metre (or ¼ mile) track. When a car stops suddenly in a car crash, huge decelerations are involved. 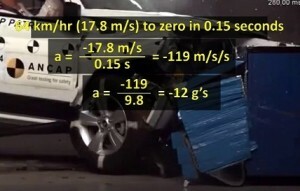 In this crash test, the car went from 64 km/hr (17.8m/s) to 0 in only about 0.15 seconds. Its acceleration was -119 m/s/s. This is about negative 12 g’s. 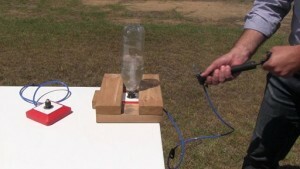 These water bottle rockets have huge accelerations. When air is pumped into the bottle, the pressure builds up until the rubber flange can’t hold on any more and the bottle shoots upwards. In slow motion it looks like this. By placing a dot where the bottle was at every frame of the video, well for the first 12 frames, we can see that for the first 3 frames the bottle accelerated and then it started decelerating. So what speed did the bottle reach and what was its acceleration? Let’s do some mathematics. The length of the table on my computer screen is 21 mm, while the distance between these two dots where the bottle reached its maximum speed is 12 mm. Let’s record these values. Since the table in real life is 1.83 metres in length, the distance in real life between our two dots must be 12/21 of 1.83 metres, which equals 1.05 metres. It seems to fit. If this is 1.83 m, then it seems logical that this is about 1 metre. 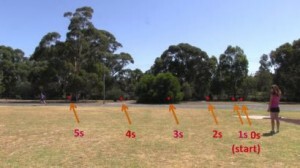 The camera was recording at 25 frames per second, so each frame is 1/25 of a second apart. So the bottle’s average speed during this time interval was 1.05 m over 1/25 of a second which equals 26 m/s or 94 km/hr. Now I’m going to assume that the average speed of the bottle during this time interval was its actual speed half way in between the two dots, or in other words, 2½ frames after the bottle launched. 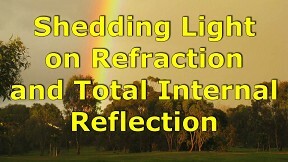 2½ frames is 2½ / 25 ths of a second or 0.1 seconds. So, since the bottle reached 26 m/s in only about 0.1 seconds, its acceleration was 260 m/s/s. This is about 26.5 g’s. 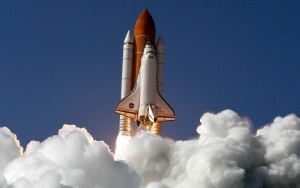 NASA’s Space Shuttles accelerated at or below 3 g’s, but given that they could sustain this acceleration for about 8 minutes, they ended up with a speed of about 28000 km/hr or nearly 8 km/s. 8 km/s! 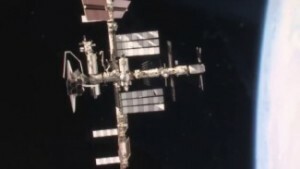 However, in this shot, taken from the ISS (International Space Station), the Space Shuttle hardly seems to be moving at all as it approaches to dock, because it’s travelling at more or less the same speed as the ISS, and the ground below is way too far away for us to get any sense of exactly how fast it’s going relative to the ground. So is it moving at 8 km/s, or is it moving very slowly? 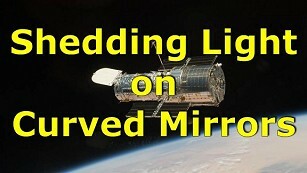 Well it depends on how you look at it, because the velocity of an object is actually always relative to something else. Relative to the Earth, the shuttle is moving at about 8 km/s but relative to the Space Station it’s now stationary. 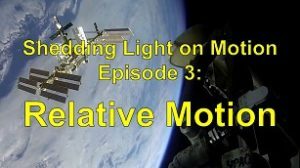 This concept that the velocity of an object is always relative to something else is really important and so it’s relative motion that we’ll be looking at in our next episode. See you then. Moonraker © 1979 Danjaq S.A. & United Artists Corporation. James Bond is a character created by Ian Fleming. Vision from the movie is used in what we consider “Fair Use” for the purposes of critical review and education. Batman Begins © 2005 Warner Bros. Entertainment Inc. Batman and all related characters and elements are trademark of and © DC Comics. Vision from the movie and from the “making of” documentary is used in what we consider “Fair Use” for the purposes of critical review and education. FIFA 15 © 2016 Electronic Arts Inc. Vision is used in this video in what we consider “Fair Use” for the purposes of critical review and education. Call of Duty: Black Ops III © 2016 Activision Publishing, Inc. Activision, Call Of Duty, Call Of Duty Black Ops, and stylized roman numeral III are trademarks of Activision Publishing, Inc. 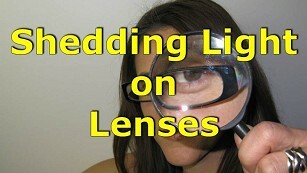 Vision is used in this video in what we consider “Fair Use” for the purposes of critical review and education. ANCAP CRASH TEST: Jeep Patriot 4×2 (from 2011) – maximum 5 star ANCAP safety rating © ANCAP. Used with permission. Images of the Space Shuttle and of the ISS were produced by NASA and the other space agencies that contributed to the ISS’s construction.